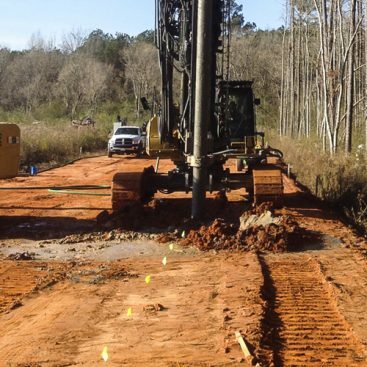 Geo-Solutions constructed a pilot-scale groundwater remediation system at the Marzone Superfund Site in Tifton, Georgia. 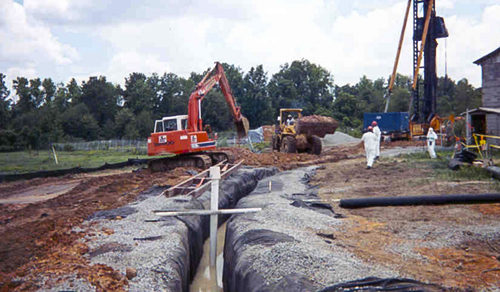 The system consists of a slurry wall, installed using the vibrated beam method, groundwater collection and distribution trench, and three concrete treatment reactors. The reactors contain a granular activated carbon used to remove pesticide contamination within the groundwater. The vaults and collection trench are connected via a network of piping and valves located 8.5 feet below ground surface, which ultimately transports the treated water to the distribution trench, where it is introduced back into the groundwater. The entire system is operated solely by the hydrostatic head pressure created by the vibrated beam slurry wall and does not require the use of pumps. The 425 linear foot collection trench and 150 linear foot distribution trench were installed using the Bio-Polymer Slurry Trench method. The depth of the collection trench was 20 feet below ground surface. It was excavated approximately 20 feet upgradient from the slurry wall. 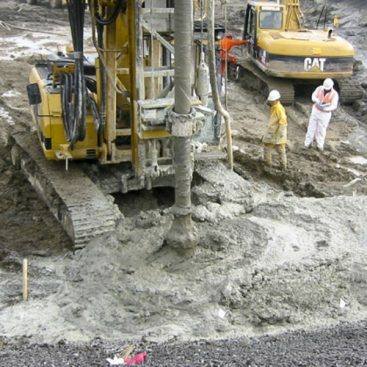 The depth of the distribution trench ranged from 12 to 13 feet below ground surface and was located approximately 100 feet downgradient from the slurry wall. Both trenches were lined with geotextile, backfilled with drainage stone to within 4 feet below ground surface and capped with a protective fill material. 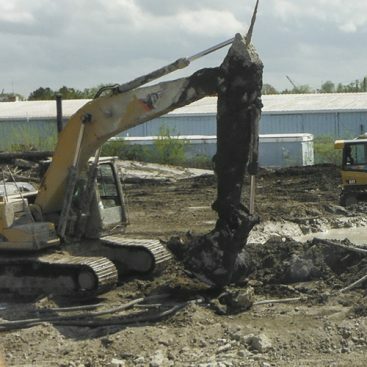 HDPE pipe was installed 8.5 feet below ground surface from the treatment reactors to the end of the distribution trench, with the section in the distribution trench being perforated. 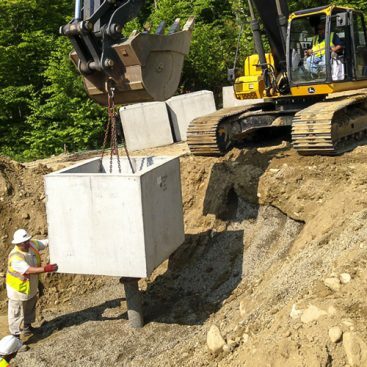 The 425 linear foot vibrated beam slurry wall was installed to depths ranging from 22 to 26 feet deep. The slurry wall alignment is located parallel to the collection trench on the downgradient side.